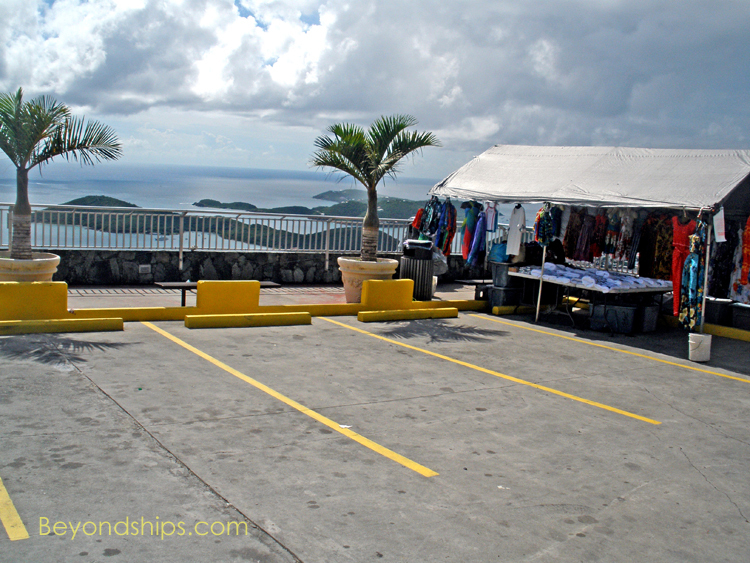 St. Thomas is a volcanic island with steep hillsides. Several places high up on these hillsides have become known for their panoramic views. 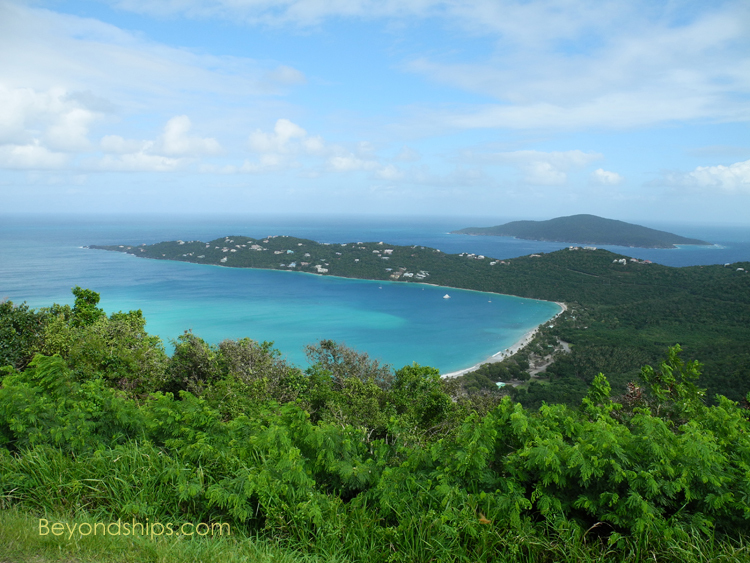 there are panoramic views over the north side of the island, the surrounding sea and the neighboring islands. 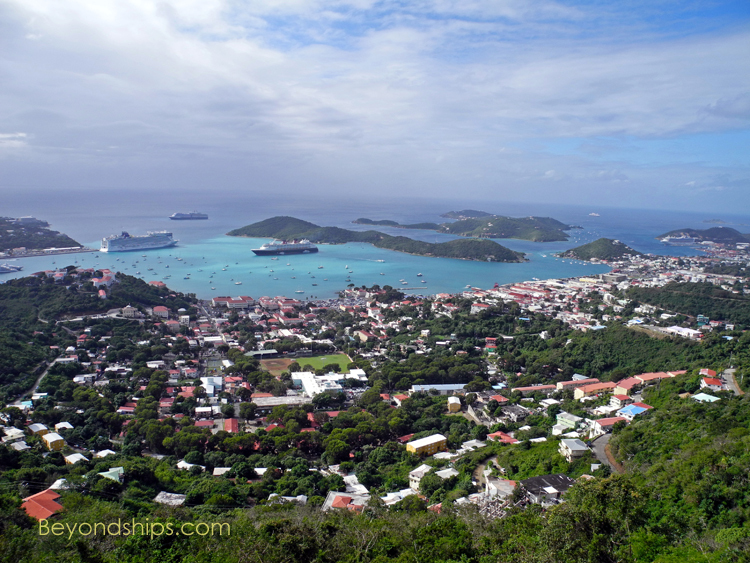 Near Havensight is the St. Thomas Skyride, an aerial tram that takes visitors 700 feet up Flag Hill to Paradise Point. 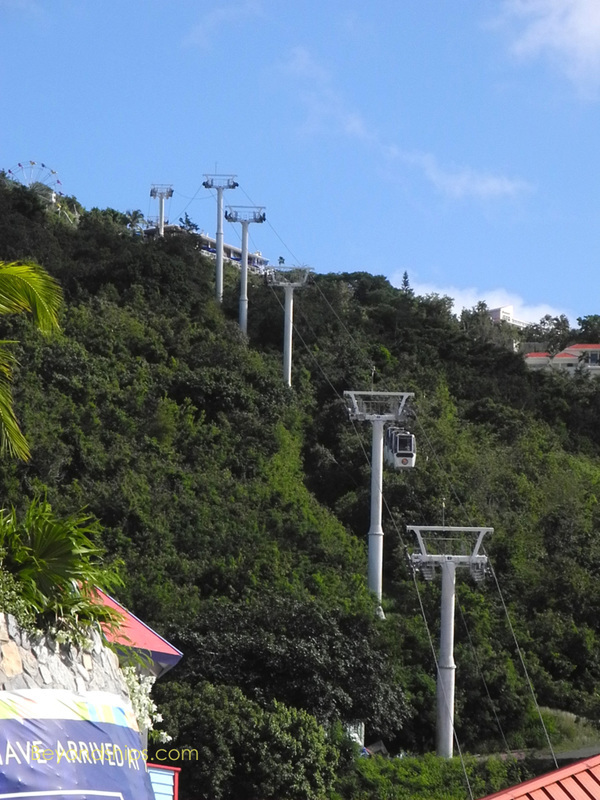 The tram takes 24 passengers up the hill every seven minutes. 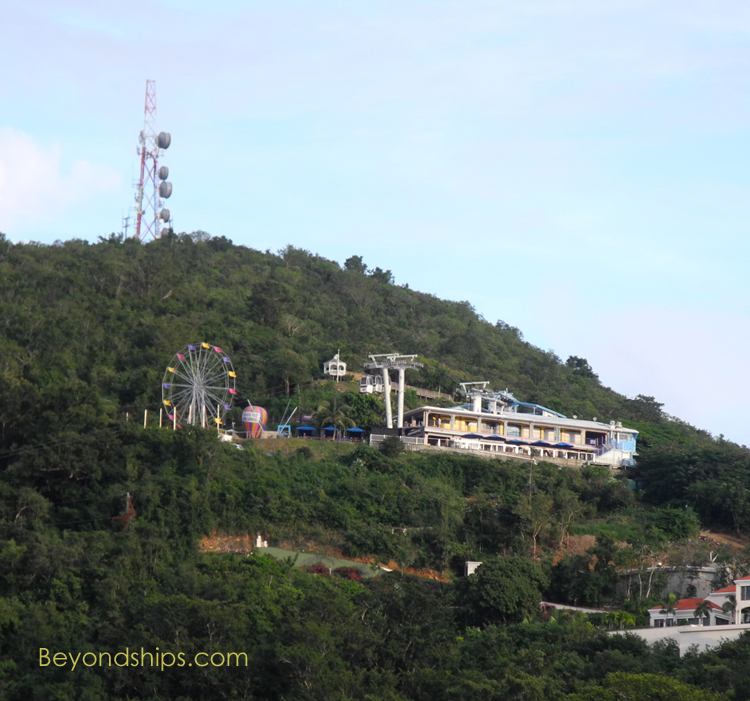 At the top, there is a restaurant and bar as well as a Ferris wheel. 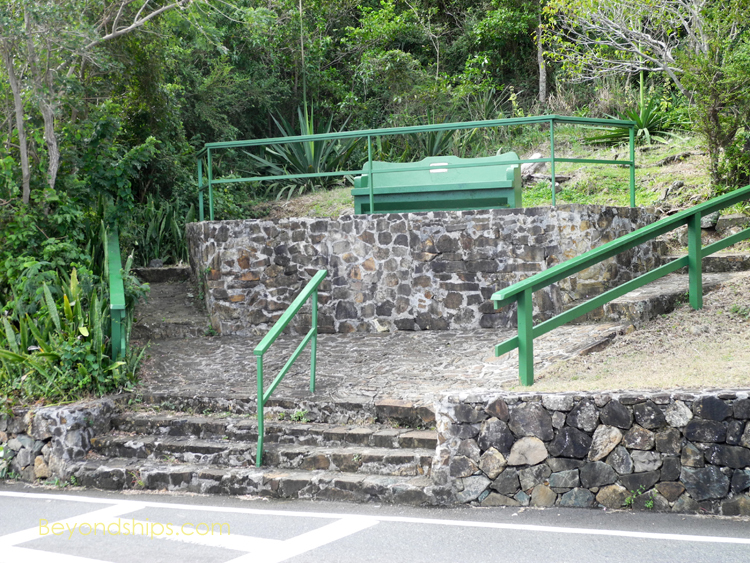 A number of nature trails also start from this point. 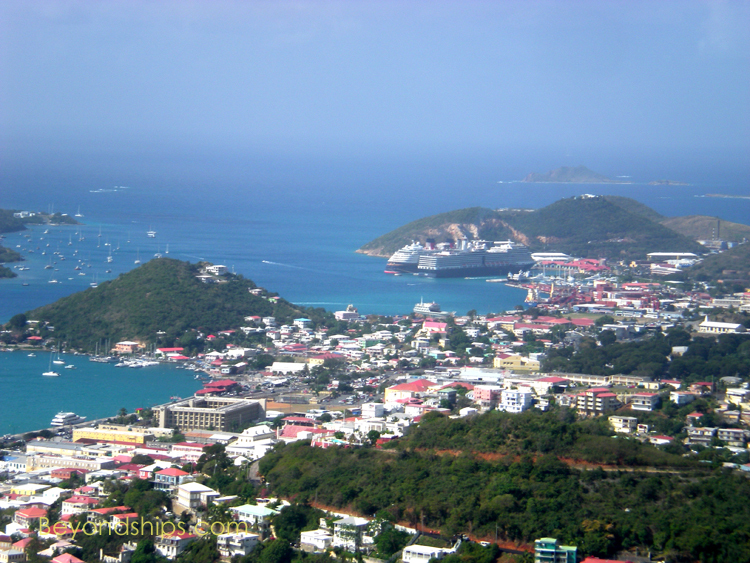 However, the big attraction is the view of the bay and Charlotte Amalie.